I’m one of them, and I just sent an op-ed to the New York Times about my thinking on getting very, very old. A small corner of the Times op-ed page. It also includes think pieces by its regular columnists. retired management consultant. Its title was “Going on 18, but not naïve.” It ran January 1. But I had a dramatically different opinion than Mr. Goldfarb about what’s it’s like to get very old. And I ain’t naïve, either. First, I drafted a letter (not the op-ed yet) to the Times about it. The Times recommends that a letter run from 150 to 200 words. I had much more to say than that! My letter stretched to 980 words. And mind you, I had made it as lean as I could. Submitting it was pure futility on my part. I realized that. Every day the Times is brimful with news and opinion articles that cry for discussion. Some readers nod in approval, others shake their heads. So I decided to send it to the op-ed editor. Op-eds run longer. Op-eds are opinion articles. Not mere letters. Additionally, the Times pays a fee. That would be nice. Op-ed, a strange name! Well, as you may know, the Times always publishes its editorials on a left-hand page. Op-eds are called op-eds because they run on the right-hand page across from the editorial page. That’s what it’s called, the op-ed page. The Times started the practice. In fact, that’s the way big papers across the country do it. I said I knew I was wasting my time. Here’s why. 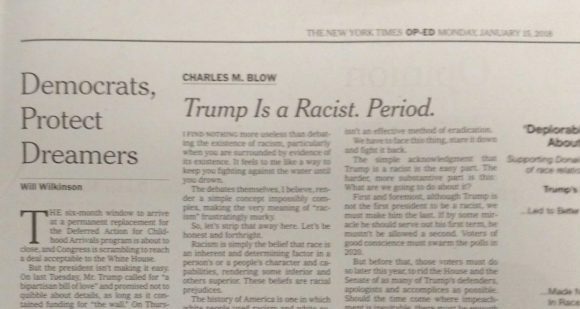 Typically the Times publishes only two or three op-eds a day for one-shot writers. They need room on the page for its regular columnists. And every day dozens of readers submit an op-ed. So dozens of writers get disappointed. Yes, I disagreed with Mr. Goldfarb. And I’m about to tell you why. I mentioned his article up top and I bold-faced it for you. You may want to get his view on it. Just look it up via Google or Bing. That would be a good starting point for you. But not essential. Mr. Goldfarb wrote because he’s 88. Well, I’m 88, too. I enjoyed Mr. Goldfarb’s take on that and his good humor. But I’ve had a different experience and a different life strategy. I offer it in the hope it may inspire thoughtful readers who see old age looming and want to make their old age as good as possible. Here are smart moves that I rejoice I made for a good old age, which I’m now enjoying. .
FIRST: I retired, well, in the sense that I started collecting Social Security. But never retired in the sense of quitting work. No, no. I started as a journalist, went on to other things as well, but have always been a writer. Articles, news releases, essays, non-fiction books. I’m still a writer. But these days as a blogger, giving my take on a variety of topics, never sure what I’ll focus on next. But it will be on a topic that interests me personally. This blog post is an example. Curious about the topics, by the way? See www.johnguylaplante.com/blog. You’ll see the surprising variety. So, it’s a big mistake to quit working! Get into a line of work that you hope you’ll be passionate about till you can’t do it anymore! TWO: Like Mr. Goldfarb, I seek adventure. He’s content with a smidgeon. My word, not his. I’ve wanted more than a smidgeon. Read on and you’ll see I’ve had one adventure after another. What’s an adventure? Here’s how I define it. It’s an undertaking new and challenging that runs a think-about-it-twice risk of failure, but is worth the risk. Most people are averse to that. They go into something that’s sure and safe and do it till they hit 65. Work in the Post Office. Or in a bank. Or teach school. Most careers are like that. Which is okay. No criticism from me. But that’s not been what I’ve sought. For one thing, I changed my career path several times and ventured far afield from newspaper reporter and editor on a metro paper. I spread my wings: college teacher… college administrator… hospital marketing director… businessman. Yes, I started a couple of businesses cold. One in public relations and print media. The other in residential real estate. Made them successful. At one time I managed both simultaneously. I’ve experienced failure. Of course. In business. And marriage. Made that a stepping stone. As a senior newly retired, I spread my wings farther. Soon became the director of one of the largest Elderhostel programs in the Northeast. Spent more than a decade at that. And I began sating my travel yearnings big-time. With a partner who had worked as a travel agent, I escorted groups of seniors on eight European tours across a dozen countries and one to Mexico. The romantic cities like Guadalajara and Mazatlan. Not mega-touristy Cancun or Acapulco. Mostly solo, I’ve toured all 50 states, several numerous times, most often on slow roads. Much of that in a VW Westfalia—the fabled little camper. Have cruised alone across Canada from Vancouver to New Brunswick. Up to Quebec time and again. Soloed in my Westfalia thousands of miles through Mexico. Did it twice, more than 12,000 miles. Have toured all European countries except the four at the very top. Some several times. Have been to France 10 times–did a house swap there. At 75, traveled around the world alone for my 75th birthday. That led to a book. Followed that with a tour of eight countries in Asia, the second half of it alone. My sister Lucie was with me on the first half. That led to a book. At 78, I joined Peace Corps and completed a full hitch (Ukraine, university-level teacher)–was notified by Peace Corps / Washington that at 80 I was the oldest Volunteer in the world. That led to a book. These travels were all big adventures. By the way, for years I’ve been writing articles beyond number about these travels. Talk about change! Southern New England—Rhode Island, Massachusetts, and Connecticut–was home for me right into my 80’s. I’ve now relocated close to my loving daughter in Morro Bay, a small town on California’s central coast. For keeps. Sure, a nice bonus is no snow, no ice here, no torrid temps, palm trees, the Pacific just a mile away. This has been an ongoing adventure. There’s been a price. I get moments of homesickness. And I miss friends. I’ve continued to challenge myself in new ways here in Morro Bay. Did two seasons as a talk-show host on our local FM station, Did a stint on the board of directors of our senior center, have taught mini courses and given talks, have a talk coming up at our public library on why not volunteer in Peace Corps? So yes, I do have a powerful adventure gene. Starting businesses as a married man with kids is an adventure. Joining Peace Corps when you know 20 percent of the Volunteers quit and come home early is an adventure. Self-publishing books is an adventure. Investing in the stock market for years as I’ve done is an an adventure. Along with years and years of smaller adventures. A core belief of mine is: If you’re not making your life an adventure, you’re short-changing yourself. Adventure is a terrific tonic. THREE: I’ve watched my dollars and cents but without suffering unduly. My motto has not been I want the best. It’s been I want what will be good enough. I consider thrift (not parsimony!) an index of IQ. Having savings lets anybody sleep better. Indebtedness is an awful headache. Shake off indebtedness as soon as you can! FOUR: I’ve become more vigilant about my health. I grew up a fatty, finally got that under control. Slowly but steadily became a vegetarian. That’s smart health-wise and most satisfying ethics-wise. I’ve been doing morning limbering exercises for years. Used to walk, walk, walk. Always active in many ways. For 10 years I lived on a fourth floor. Never used the elevator. Always took the stairs. As a little kid I loved the trike my mom and dad gave me one Christmas. Grew up to a bike and was an active bike rider into my 70’s. A spill ended that. I still drive, hope to continue driving but I don’t feel it as essential as it was for so long. Sure, I’m failing. Walk with a walking stick. Like a nap every afternoon. Now stone deaf in my right ear, use a hearing aid in the other. Take 7 pills every morning, but only one is a prescription. I live, cook, keep house alone. Have just had four teeth pulled. I’ve had a succession of ills. I got dizzy once and fell. Nothing broken. Now I wear an electronic gizmo to summon help. Just getting over a urinary tract infection. Yet my primary care doctor told me on my latest visit he sees no need to see me till April. Which is when I hit 89 and enter my 90th. Some oldsters run in to see him every two weeks. Yes, I’ve been lucky about this. However, some of that luck is the result of my own efforts. Yes indeed, doing whatever it takes to remain healthy is a smart priority. Bottom line: I feel good. I still cope every day. I’m optimistic. I’m enjoying life. But yes sir, nobody is more aware than I am that my demise isn’t far off. That said, I have no ambition to reach my 100th if I’m in bad shape. It’s possible to live too long. The end can be so awful. And so hard on loved ones. I’ve seen that. God forbid! At a certain point, an instantaneous and decisive heart attack would be wonderful. Though I may sound that way, please do not think I am boasting. I am not. My motive is the same in sending this to you: perhaps this will help you and yours. Remember, dear readers, I warmly welcome your letters. I read them all. If you disagree with something I write, no cussing please. Write while it’s fresh in your mind. Just email to johnguylaplante@gmail.com. Write now.